When I was test printing some of the buildings I noticed the print times were fairly long so I started looking at ways to cut down the print times. Originally I had the components solid, so you'd need infill for the prints. But that increases print time and also material cost. 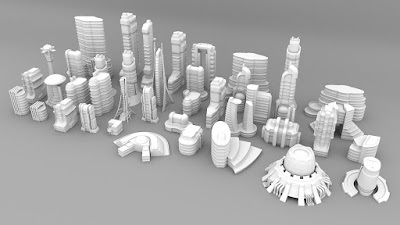 For the smaller buildings it doesn't really matter, they print out fast. But for buildings 15mm and up it can be an issue. Right now the components are solid, like the piece on the left. But I can hollow them out, like the part on the right. 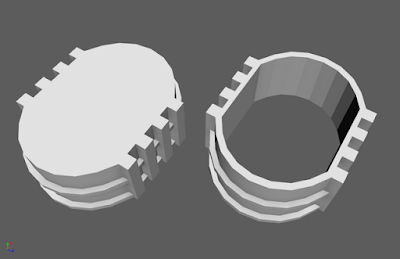 So would you rather I "hollow out" the components where I can to save time and materials? Let me know below what you prefer. Hollowing them out doesn't take very long.